GREEN BAY — Packers CB Tramon Williams has missed only one game in his eight-year career, and he’s not missing today’s game. Williams, who injured his ankle in the second half at Miami last week and had to leave the game, is active and starting for the Packers against the Panthers today at Lambeau Field. The only game in Williams’ career he has missed came in Week 2 of the 2011 season, after he injured his shoulder the previous game vs. New Orleans. Williams’ fellow starter at CB, Sam Shields, is out with a knee injury, however, so Davon House will start in his place. A second starter the Packers are missing on defense is DE Datone Jones, who is out for a second straight game with an ankle injury. DE Josh Boyd is slated to start in Jones’ place. On the Carolina side, RB Jonathan Stewart is active and will play for the first time in about a month, following recovery from a knee injury. Also, rookie WR Kelvin Benjamin, who missed some practice time this week due to a concussion, is active and expected to play. Around the NFC North: The Packers enter today tied for first place in the division with the Detroit Lions at 4-2. Today, Detroit hosts New Orleans — Green Bay’s opponent next week in a Sunday night affair at the Superdome — and the Lions will be without star WR Calvin Johnson (ankle) for a second straight game. 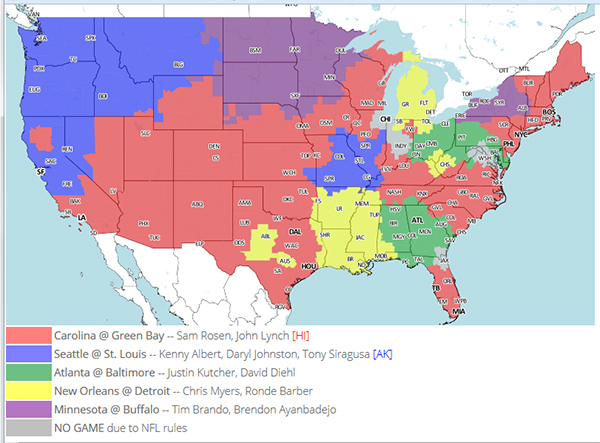 One game back of the Packers and Lions is Chicago (3-3), which hosts Miami today. Minnesota (2-4) travels to Buffalo, a team that has already beaten both Detroit and Chicago. For a look at how today’s Packers-Panthers game could factor down the line in an NFC North tiebreaker, click here. If you missed any of Packers.com’s preview stories for this week’s game, you can find them all by clicking here. 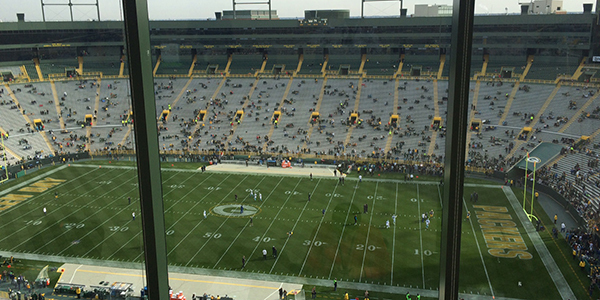 Weather update: Green Bay temperatures are expected to be in the low 50s for today’s game with no chance of rain. Winds are around 15 mph. Given the heat index in Miami last week was around 100 degrees, this is a shift of about 50 degrees for playing conditions in one week for the Packers. Staying hot: The Packers are in search of their fourth straight win to get to 5-2, which would precisely match their start of a year ago, when they began the season 1-2 and won four in a row to get to 5-2. Packers WR Jordy Nelson has recorded at least nine receptions four times already this season. If he does it once more, he’ll set a new team single-season record for games with at least nine catches. Nelson currently leads the NFL with 632 receiving yards.